Remember HQ Trivia? The online streaming trivia game pays out real cash to those left standing after answering 12-multiple choice questions. Once you miss one question, you are eliminated. Two games are played each weekday (3pm EDT and 9pm EDT) with one contest on Saturday and one on Sunday (both at 9pm EDT). When we last checked in, each game offered a $2,500 prize with the occasional $15,000 payout. With multiple winners the norm, trivia buffs were receiving $6 to $75 a game for answering a dozen questions in a row. Since then, prize money has peaked at $100,000 for one game. The app hosted a peak 2.18 million players on March 4th, the night of the Academy Awards. It has always been the intention of HQ to find sponsors and obtain funding that would allow it to raise the daily prize money. 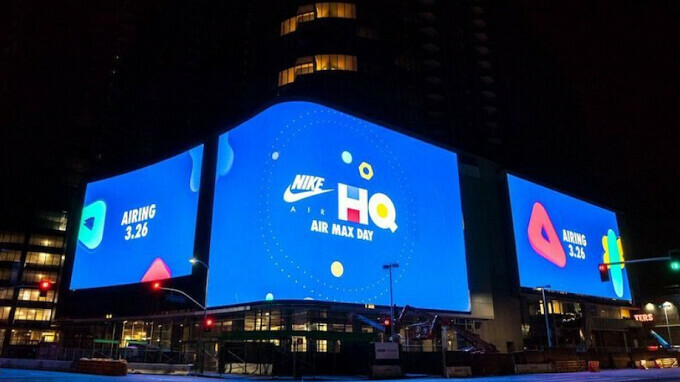 Now, HQ Trivia has inked a couple of sponsorship deals with Warner Brothers and Nike. The former deal is reportedly worth $3 million dollars and will result in a record $250,000 jackpot for tomorrow (Wednesday) night's trivia battle. HQ Trivia will promote Steven Spielberg's new movie "Ready Player One," which will be distributed by Warner. Questions for that night's trivia contest will be related to the upcoming film and a video or trailer is expected to play before the questions begin. Yesterday evening, in partnership with Nike, HQ Trivia hosted its first contest with a six figure prize of $100,000 (see image at the top of this story). While HQ has been testing a new format that has the host continue to ask questions until only one winner is left, Wednesday night's game will revert back to the original rules with those left standing after 12-questions splitting the $250,000. Besides the two sponsorships, HQ Trivia also recently received $15 million in funding at a valuation of $100 million. And the prize money could continue to go up. HQ Trivia CEO Rus Yusupov said last year that he would like to see HQ eventually offer a $1 million prize. But there is nothing wrong with splitting $250,000. If you want to take a shot at the big bucks tomorrow night, download the HQ Trivia app by clicking on the appropriate link: (iOS|Android).